The verdict was met with consternation around the world including from the U.S. Embassy, which expressed its concern and urged Russia to respect individual's religious freedom. Russia in recent years has used its vaguely worded extremism laws to go after dissenters, opposition activists and most recently religious minorities. Russia officially banned the Jehovah's Witnesses in 2017 and declared the religious group an extremist organization. Paul Gillies, spokesman for Jehovah's Witnesses, said in an emailed statement that Christensen did not commit any crime and that he was convicted "merely for practicing his Christian faith." 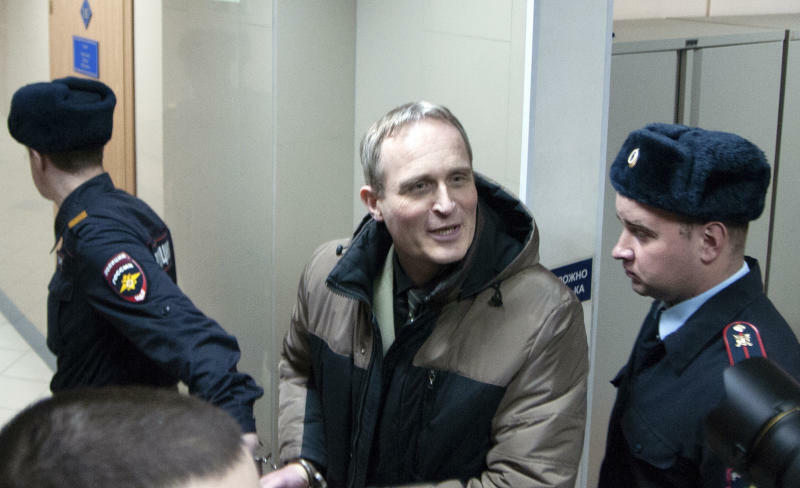 "This verdict reveals just how fragile religious freedom has become in Russia," Gillies said. But Putin's spokesman Dmitry Peskov, when asked about the case after the verdict, was unable to say if Putin had looked into the matter and had no comment on the ruling Wednesday.